“Slavery is freedom” for many conservatives. Trump’s comments calling predominately black nations “shitholes” aren’t just racist comments about those places. They are far more sinister. This is the logic that underlies one defense of slavery: that enslaved Africans and African Americans were “better off” as slaves in the colonies and the US than they would have been in Africa. The next part of this argument is that African Americans were better off during slavery than they are now. And they should be grateful for the white people who enslaved them. And, finally, that America itself was better off during slavery. The bigger argument is that racial oppression is good for the oppressed and the oppressor so we should do more of it. And Trump isn’t alone in making it. Roy Moore argued that families were stronger during slavery–showing that he only thinks about “strong families” in terms of white families, he ignores the ubiquitous sexual violence of white men against enslaved women and the enslaved children it produced, and.or he thinks that black families today are so “bad” that they were actually better off under slavery. And by “economic enslavement,” Bachmann means that white people are “enslaved” in a tax system that transfers their wealth to lazy people of color through welfare programs and that black people are “slaves” to the welfare system themselves. In 2010, Arizona Republican Representative Trent Franks said that “far more of the African-American community is being devastated by the policies of today than were being devastated by policies of slavery.” Yes, in this logic, Temporary Aid to Needy Families and food stamp benefits are worse than life-long, race-based, inheritable enslavement. Here is the sum of Buchanan’s argument: we white people generously brought 600,000 people here, where they flourished, and what do we get? High taxes, high crime, and ingratitude! Ungrateful, of course, is just another word for uppity. The implication here is that you can remove the person from the shithole, but you can’t remove the shithole from the person. This is why it didn’t take long for Politico to find some racist Trump fans to guffaw that the NFL, filled with black athletes, some of whom are calling attention to police brutality, stands for “N—- for Life.” It’s not just that the NFL has lots of African American players. This racist logic says that there is some quality of blackness that so deeply engrained that it cannot be socialized out of African Americans. You can give them nice jobs and a million dollar salary, or you can give them emancipation and desegregated schools, or you can give them food stamps and government housing, but it won’t matter: this inferiority can’t be overcome. 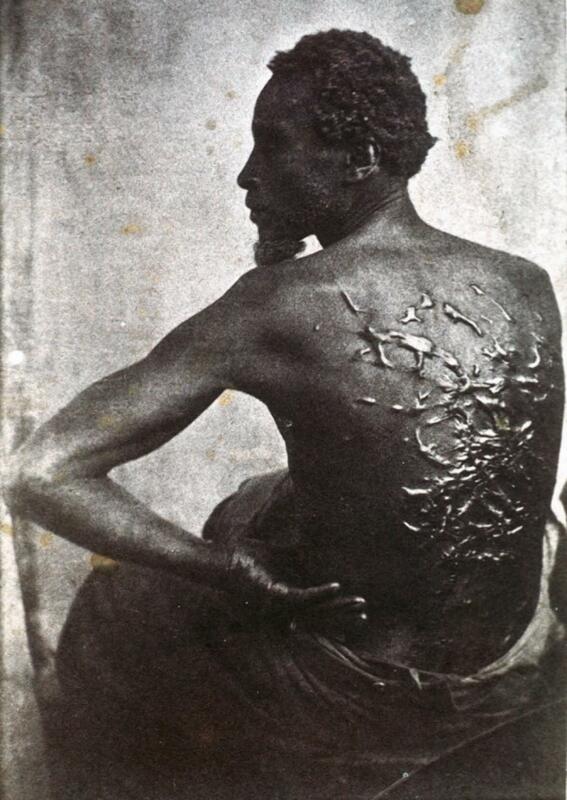 Emancipation resulted in less freedom because we replaced slavery with a welfare system that discourages work. That’s not just Bundy. It’s what white conservatives hear every time Michele Bachmann or another Republican suggests that “slavery” and “economic slavery”–paying taxes that support the social safety net–are the same thing. Better than freedom and more than such shithole people deserve. That’s what many white conservatives think about slavery. That African Americans were cut out of the best paying jobs, the unionized ones with pensions, doesn’t matter. That most people who use welfare benefits are white doesn’t matter. That we spend more money on wealthfare–subsidized for the already wealthy–and that this money goes disproportionally to white people doesn’t matter. What matters is that white people believe that their taxes go to support people who are and will always be shithole people.